Gilmore Girls is headed to Netflix soon, and the series is one step closer to release. TV Line reported that production had wrapped on the revival this week. Lauren Graham and Scott Patterson marked the end of production of the revival by sharing a photo of themselves together. Check out the photo below. A wedding was teased for the final part of the revival. Lorelai and Luke were not married during the years following the finale. Did that pair finally tie the knot? Or, did the younger Gilmore girl get married. 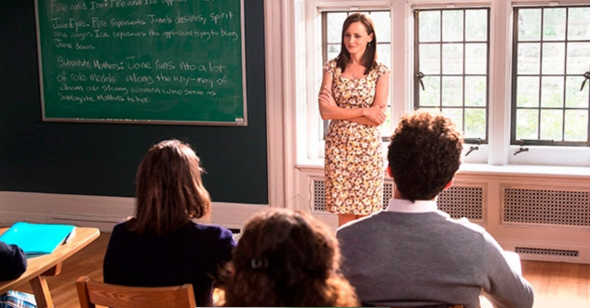 Fans will have to wait for the arrival of the Gilmore Girls revival to find out. No release date has yet been set. Are you excited for the return of Gilmore Girls? Tell us what you think. More about: Gilmore Girls, Gilmore Girls: canceled or renewed? Gilmore Girls: Netflix Revival to Feature a Wedding? Gilmore Girls: Will Melissa McCarthy Return for Netflix Revival? Gilmore Girls: Netflix Revival Set Photos Leaked?